Gaming International Association › Games › Pokémon Go! What's up people? 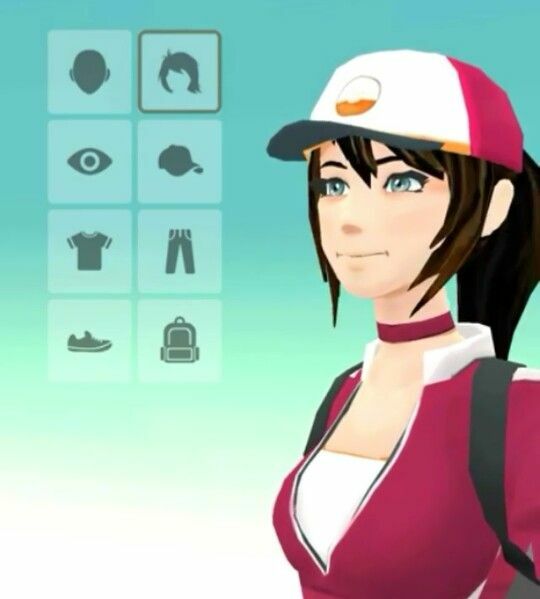 Thought it was time the community added a forum for Pokémon Go! I'll be adding subforums for each team, and then the general forum. I'm excited to see what we can come up with! Screenshots, help guides, information, get-togethers. Let's do this! How do I log into the game? There are a couple options for logging into Pokémon Go. The first requires no additional setup - that's using an existing Google account. Otherwise, players can either sign in with or sign up for a Pokémon Trainer Club account, which comes with added privileges. These include a subscription to a monthly newsletter, which sometimes offers download codes for rare Pokémon. For this reason, I would recommend getting a Pokémon Go Trainer Club account. After choosing your log in method, you will be prompted to create your own character. You can go through skin tone, hair color, pants, etc. 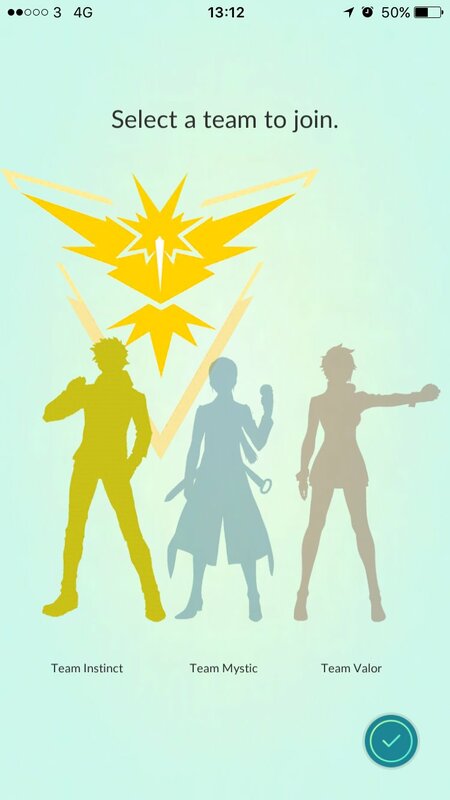 While you can pick any sort of combination, I recommend choosing all yellow (Team Instinct represent!). More on teams later. Once you have completed designing your character, you will be prompted to select between three Pokémon: Charmander, Squirtle, and Bulbasaur. Each will have their own advantage. Since Pokémon spawn based on their environment, it may be worth considering what climate you are in. For example, if you are in a very rural, grassy area, you will likely face several grass and normal type pokémon, in which case fire-type (Charmander) would be your best bet. If you live in very coastal areas, Bulbasaur may be your best option, since grass do well against water-type. Catching is something that isn't especially well-explained in Pokémon Go. As you traverse the real world, as represented on the in-game map, you'll occasionally run into tufts of rustling grass. The grass is mostly aesthetic and does not particularily prove more Pokémon are in the are. Travel around and they will simply appear. 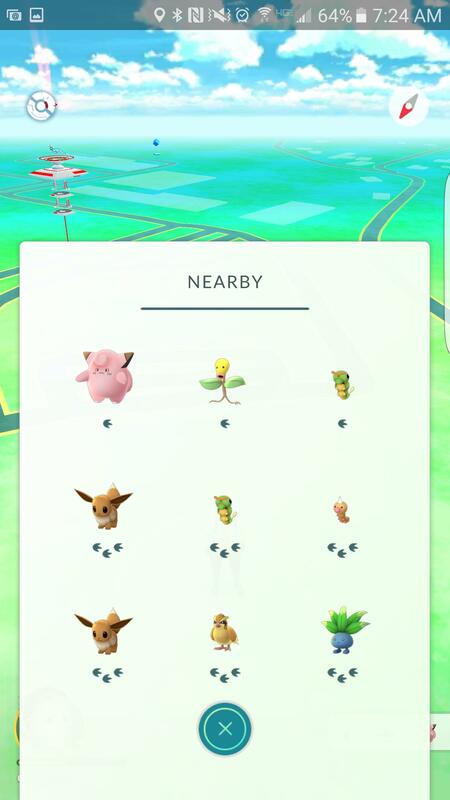 There's also a handy meter indicating which Pokémon are nearby on the lower right-hand corner of the map. Three "feet" indicate 300m away, two "feet" indicate 200m, and one indicates 100m. By default, this part of the screen shows the three closest Pokémon to your physical location; clicking on it will reveal a wider look at the available Pokémon to catch. Each one has anywhere from one to three footprints underneath it, with one indicating that it's especially close to you and three meaning that you'll have to keep walking to find it. Keep moving for awhile in the direction of the rustling grass; once you get close enough, a Pokémon will appear on the map, and clicking on it will initiate a battle. Battles aren't between two Pokémon, though. They're between a Pokémon and your ability to swipe a Poké Ball in their direction. When you engage a Poké Ball (hold it down), a colored ring will appear around the opponent. These change in size after each capture attempt. Throwing a Ball into the smaller circle is more effective, but it also much harder to land. You also are more likely to capture by throwing "curve balls" or landing dead-center on the Pokémon. Incense: "Incense with a mysterious fragrance that lures wild Pokémon to your location for 30 minutes." Lucky Egg: "A Lucky Egg that's filled with happiness! Earns double XP for 30 minutes." Egg Incubator: "A device that incubates an Egg as you walk until it is ready to hatch. Breaks after three uses." Lure Module: "A module that attracts Pokémon to a PokéStop for 30 minutes. Other people around the PokéStop can also benefit from the effect." Each of these items cost Pokémon Coins (or PokéCoins) which, unsurprisingly, must be bought for real money. At first when I found that there were so many purchasable items, I was furious, since it appeared to be the only way to attain some things (like the Lure Module which helps tremendously in capturing Pokémon). As the game progressed however, I realized that you can also attach coins by capturing, and holding gyms. IMHO this made getting the items much more reasonable (and made me excited to capture more gyms). The point of Pokémon Go is to travel around, exploring different geographic areas to find appropriate Pokémon. In a small town, expect to find a lot of normal- and grass-types. Going near water will attract water Pokémon. Playing at night brings out more nocturnal creatures, like Clefairy and Gastly. I've really enjoyed traveling to areas outside the "norm" to find more rare-types (at one point, the girlfriend and I may have bought a pizza and driven out to thick grass in the middle-of-nowhere to find some rare grass types). Leveling up Pokémon is pretty strait forward. 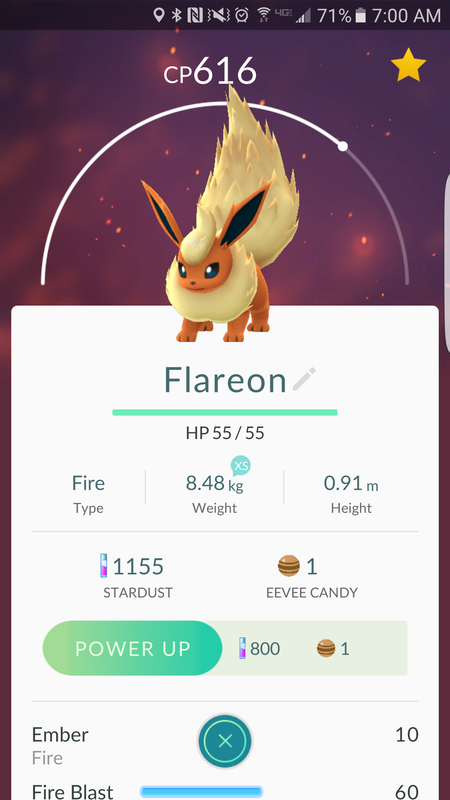 When you capture Pokémon, you will see a "CP" indicator over their head, representing Combat Points. Combat Points are more or less the equivalent of the Pokémon's level, but there is a bit more to that. 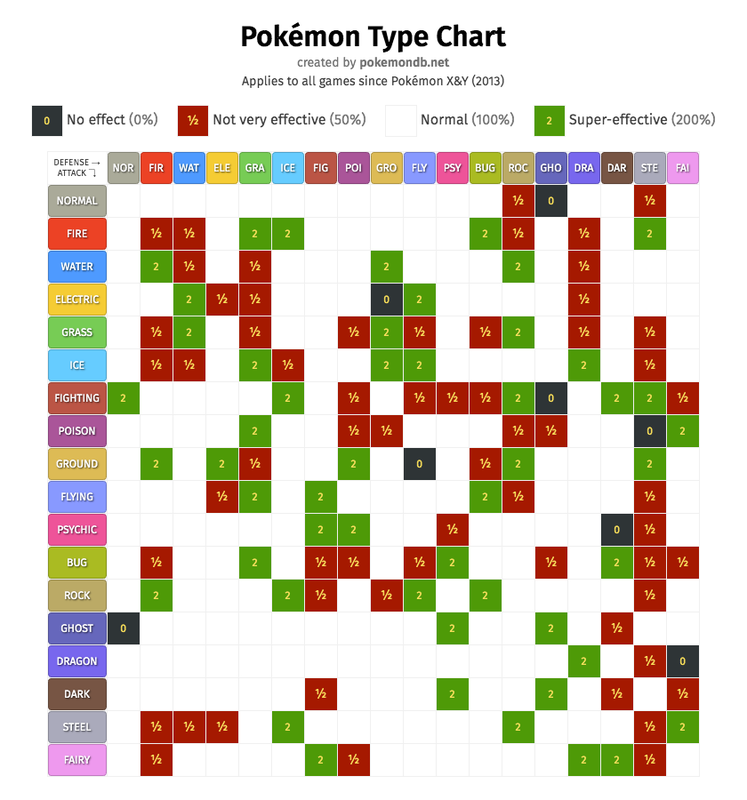 Even if you get the same type of Pokémon, they can have difference skills, which have varying amounts of damage, and are easier or more challenging to strike other Pokémon with. To level up a Pokémon (from here on out, referred to as "power up"), you need to have Stardust (which you acquire through capturing Pokémon) and also have the corresponding "candy". Candy can only be retreived by capturing and/or transferring Pokémon. In other words, if I have a Venonat that requires 200 Stardust to level, and one Venonat candy, I have to either have the Venonat candy, or catch another one. To level as a player, simply play the game. You acquire XP from just about everything - capturing Pokémon, hitting Pokéstops (the blue circle-ish things you see everywhere), beating or challenging gyms, etc. Once you have reached level 5, you will be prompted to select a team. You have three to chose from. You may hear people claiming that one team is "bigger" or "stronger" than another, and while there may be some validity to it, keep in mind that it varies according to the region. Gyms are the equivalent of "the big league", and involves fighting other player's Pokémon, and risking injuring your Pokémon or rendering them unconscious. The rewards are high though too. 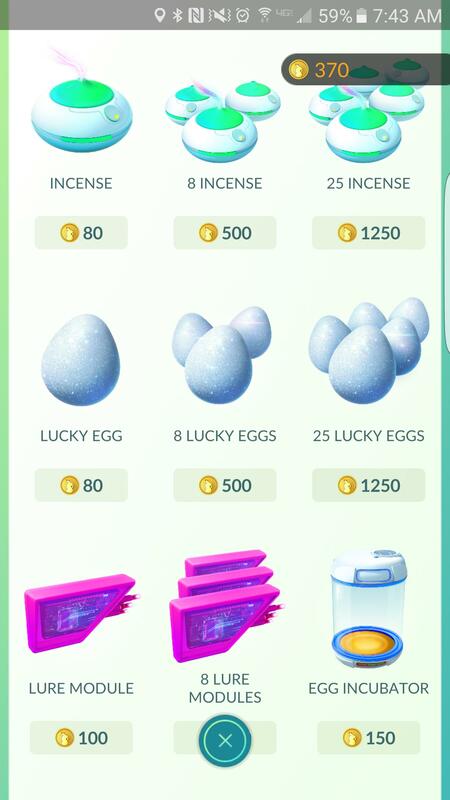 As I mentioned earlier, the more gyms you capture, the more coins you acquire in a twenty four hour period, which can be used to purchase in-game items like valuable lures. Gyms are also all about team unity and declaring your territory. If you find a gym that matches your team's color, you have the ability to "give" a Pokémon to the gym (assuming it has an available slot). With the right Pokémon, this can make it harder for the opposing team to beat. 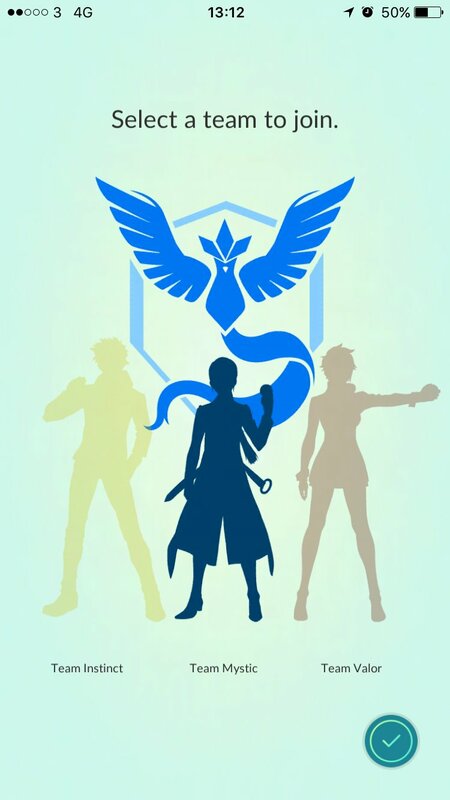 You can also fight your own team's Pokémon for "prestige" which levels your gym and allows for more Pokémon to be stored. If you run into an enemy team's gym, you can attempt to beat the gym, and claim it as your own. Keep in mind, you will have to beat it multiple times depending on the gym's level. 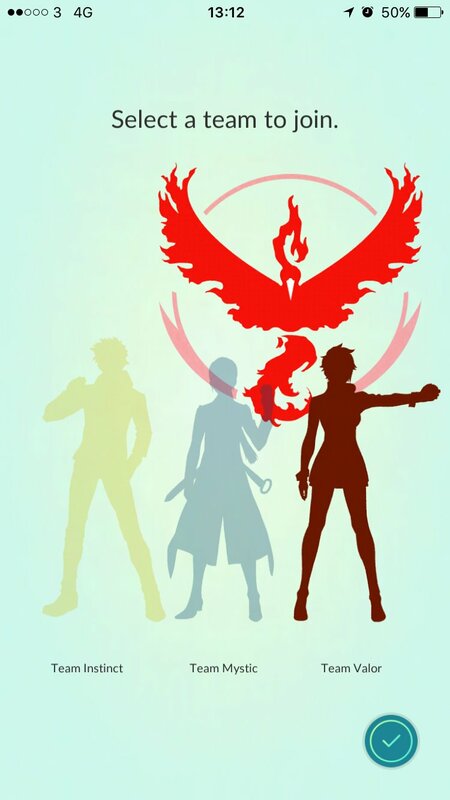 Okay, so you've got your trained-up Pokémon and you're ready to fight — either at one of your own gyms, or an opponent's. How do you actually, y'know... fight? The name of the game is tapping and swiping — with the occasional tap-and-hold to use your Pokémon's Special Power. When you enter a Gym battle, you'll be able to hit your opponent at any time after the "Go!" command has been given — and they'll be able to hit you, too. To attack your opponent, just tap anywhere on the screen; you'll see a "Very effective!" or "Not very effective," followed by a drop in their HP, to let you know if your attack was successful. But this isn't your mom's Pokémon game: This fight is simultaneous, so there's no real wait-and-see to find out if you managed to hurt your opponent or not. You just have to go and be quick on the draw. You can dodge basic attacks, too, by swiping left or right to move around the screen. Special Attacks are a different beast: They tend to take up the entirety of the screen and be relatively undodgeable. You can release a Special Attack after one of the blue bars underneath your HP has charged; tap and hold on the screen and two black bars will sink down on either side to let you know the special attack is being released. While this is happening, you can't add any further fight moves, nor can your opponent dodge. If you're playing at a friendly Gym, you'll just have one Pokémon to fight your entire gym's lineup; at enemy gyms, however, you can swap between your creatures at any time during a fight. If your primary Pokémon faints, you'll automatically swap to the next in the rotation, but you can also tap the Swap Pokémon button to choose a different creature if your first one's running low on health or isn't being effective against your enemy. Ever feel like you are running low on Pokéballs? Well, that's probably because you're an idiot like me and didn't realize you can pick them up after you throw them if you've missed. Do you feel like gyms are difficult? Did you realize you can actually dodge the enemies moves by swiping left and right? Incubators are much more preserved if you use the disposable ones on larger eggs (10km, 5km) and use the infinite one on the smaller eggs. 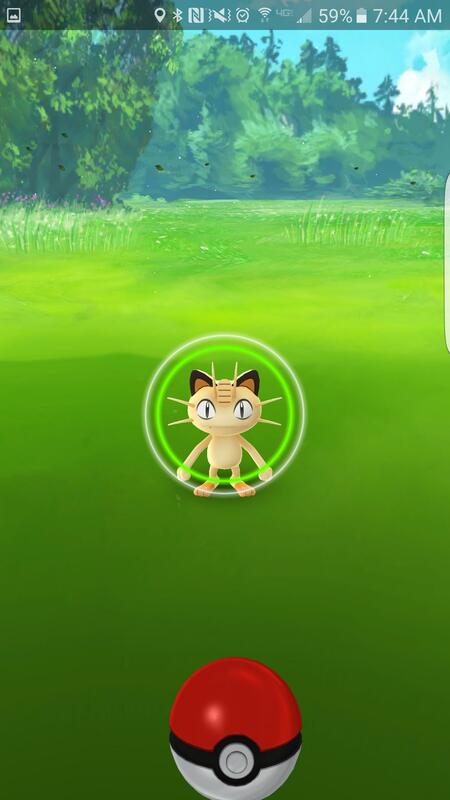 If you hold down a Pokéball it shows a green circle on the Pokémon. If you hit it dead center, it will have a higher chance of capturing the Pokémon. This part isn't really definitive, but you can also throw "curve balls" by swiping to the side, and then back again. This gives added experience. Incense stacks! If you're feeling lucky, you can use multiple things of incense at once to attract tons of Pokémon. This guide is a work in progress. I would love the communities feedback! Looks good! I need to read over some of it still though. still a lot to learn! Current time: 04-22-2019, 09:27 AM Powered By MyBB, © 2002-2019 MyBB Group.